Opening a good bottle of wine is one of many life pleasures. However, when you open it and it’s too old, you will be really disappointed. Today, we will give you 4 tips to know when the wine is no longer good enough to drink. 1 / Know that white wines oxidize faster than Red wines, which can be kept longer because they are protected by tannins, polyphenols that act as barriers against oxidation. White wines have less of these components and are therefore more exposed. 2 / Recognize the taste of oxidation: When they pass, the wines develop other flavors. If you know how to recognize them, you can consume other bottles of the same vintage before it is too late. White wines develop notes of cooked apple, dried walnut and curry, while red wines develop notes of cooked fruit and prune. 3 / Choose a case containing 6 times the same bottle rather than a case with a mix of wines. This will allow you to follow the evolution of your wine and to avoid unpleasant surprises. 4 / Do not finish the bottle the same day! Aside from being dangerous and unhealthy, you should let your wine stay at least a night to see how it evolves. You will be able to know if it is already beginning to oxidize after one night and therefore not leave it in your cellar any longer. Remember: Always drink with moderation! 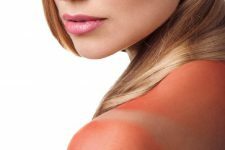 You have sunburn? Try this! 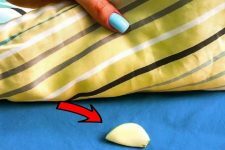 She puts a clove of garlic under her pillow and something amazing happens! !